Feel your breath going in and out of your nose and lungs. Relax into the exhales. Breathing consciously is a simple way to calm the nervous system and bring the mind out of any distraction to the present moment. Put your mind in your belly and rate your physical hunger. How hungry are you on a scale of 1-10? Ravenous? A bit hungry? Or are you experiencing a different hunger – perhaps you’re bored, sad or stressed? We experience nine hungers such as emotional, mindless, and visual hunger. Identify which hunger you have and name it. Have you thought about all the many hands that helped get your food get to you? Before the first bite, think about at least 5 people who were part of bringing your food to your plate, such as the farmers, cooks, truckers, or maybe whoever taught you the recipe. Have you thought about the miles the food has traveled or the length of time it takes to grow, mature, ship to get to you? The more cognizant we are of the journey of food to plate the more we can make conscious choices about what we put in our body. Researchers find that pausing before eating – such as dunking a donut in coffee, saying a word of thanks to all those people involved in bringing your meal to the plate, or even taking a picture to post on social media – helps the meal taste better because of the slight delay in gratification! So before you take a bite, create an extra moment. With the first bite, notice 5 things. Use all your senses as well as your own inner awareness to observe your eating experience. For example, look at the color and details of what you are eating, listen to the crunch, feel the texture, notice how flavors merge and dissolve, feel your urge for another bite, note when you desire to finish chewing and swallow, etc. You are building your power of observation which is shown to increase meal satisfaction. Sometimes we feel too busy to taste. Ever wolf down a meal in 30 seconds? Often this is an automatic, practiced behavior. Rather than speed eating, focus on putting your utensils down between each bite. Take a breath or two and notice how this feels. If you feel resistance, simply note it. It is not good or bad, just take it in as a reference point. Pausing between bites helps us slow down a bit to support digestion and be intentional about taking, and enjoying, the next bite. Savoring is deliberately focusing on what you’re eating or drinking. Appreciating every flavor nuance. Noting each sensory detail. Slowing down to extend the pleasure of each morsel. As you take your next few bites purposefully savor them. Afterwards identify three details you noticed for the first time. Tell someone what you observed during this game to reinforce your experience. It may start a fun conversation or inspire them to join you next time! We can have a lot of mindless habits around food. Mindlessness can come from lack of interest, assumptions that we fully understand something, or not being conscious of an action. Mindfulness is the antidote to such autodrive behavior. Mindful eating is paying moment-by-moment attention to our eating experience and observing hunger and satisfaction cues before and during consumption. It’s becoming aware of mental and sensory inputs and letting go of judgment. 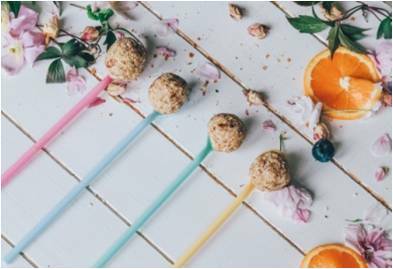 Play this seven step Mindful Eating Observation game and experience a fun way to increase your ability to engage fully with your food and yourself. This can help intentionally evolve your eating habits (researchers find eating mindfully supports weight loss) or simply create more enjoyable experiences.